You are here: Home / Featured / CEBU PACIFIC AIR: FLIGHTS FOR AS LOW AS 299 BASE FARE! CEBU PACIFIC AIR: FLIGHTS FOR AS LOW AS 299 BASE FARE! Make you travel moments happen with Cebu Pacific Air super low fares! Not lucky enough to book low fares from last seat sale promo? Don’t worry! Cebu Pacific Air is releasing another set of low fares to finally check our travel bucket list! 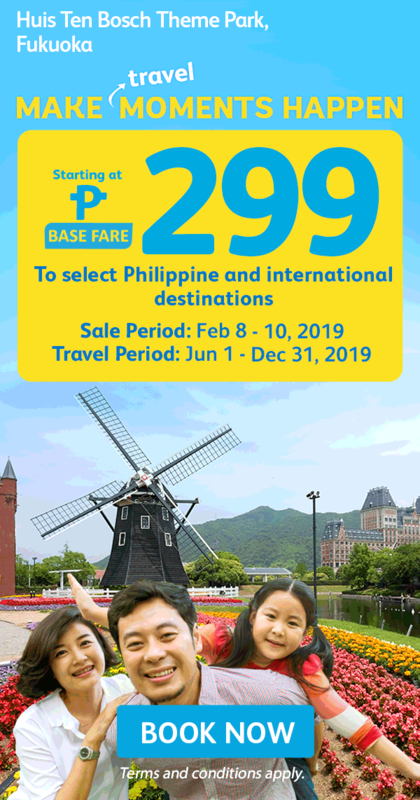 Fly to your dream destinations for as low as 299 base fare to any select Philippine destinations and as low as 499 to any select international destinations!